Tata Hexa Tata Motors has announced the launch of its lifestyle SUV - Tata Hexa - in the Nepal market and has delivered the first batch of the vehicle to 11 customers. Available at a price of NPR 77.95 lakh, the Hexa will be available in the XT 4x4 variant across Nepal, Tata Motors said in a statement. 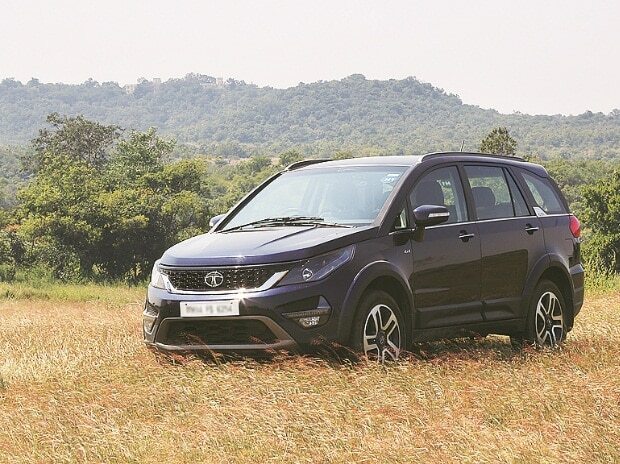 "We understand that our customers in Nepal are aspiring for more stylish, lifestyle-oriented products and the Tata Hexa is an important step in catering to these emerging customer needs," Tata Motors managing director and CEO Guenter Butschek said. "We are confident that this complete package will be an instant hit in a highly popular but immensely competitive segment and will surely excite the new-age customers of Nepal," Butschek added. The Hexa comes with a 2.2-litre 'VARICOR' diesel engine. Additionally, the XT 4x4 is available with a 6-speed manual transmission. The SUV also features 'super drive modes' that can be activated through a well-placed rotary knob, on the centre console. The mode allows the driver to seamlessly switch between the four different driving modes - auto, comfort, the dynamic and rough road to provide the occupants with a choice of driving experience that is customisable to the terrain as well as to the mood of the driver.